If you’ve been sending out email newsletters for a certain period, eventually you’ll encounter an email bounce which is when your recipient’s email server rejects your email for various reasons. Those reasons can be categorized into 2 categories which are hard bounces and soft bounces. By looking at the bounced email notification, you can see the RFC codes to determine the type of bounce. A hard bounce will have a 5xx code while a soft bounce will have a 4xx code. Below, we will explain what might cause them and what you can do to mitigate them. The recipient’s mailbox is full and therefore is unable to accept any new emails. The recipient’s mail server is currently down and unable to receive your email. 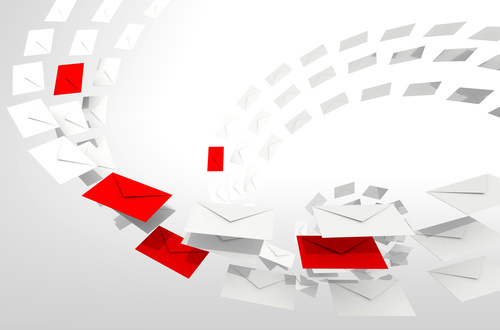 The recipient’s mail server employs greylisting to defend against spam as spammer’s mass mailing tools usually won’t retry delivery. The email message is too large for the recipient’s mailbox. Remedy: Your mail server will normally retry delivery for a few days before giving up. In the case of greylisting, the 2nd delivery attempt should be successful. Meanwhile, the full mailbox and down server cases depend on external factors beyond your control. If the recipient clears his mailbox then your email will probably get delivered. Same goes if the recipient mail server becomes operational again. This means you don’t have to do anything in cases of soft bounces. The last case will probably never be successful in delivery as the recipient’s mailbox may limit the size of each incoming email. Not much you can do there. The recipient’s email address does not exist. The recipient’s email domain is non-existent. The recipient’s email address has a syntax error. Your mail server domain or IP address has been blacklisted. Remedy: First and foremost, before sending out emails to your mailing list, always run the list through MailboxValidator’s bulk validation to check for invalid or stale email addresses. This will make sure you only send to those email addresses that are valid and active. MailboxValidator can help weed out the first 3 cases but for the blacklisted case, you’ll need to check if your mail server domain or IP address is listed in any mailbox blacklists. If you are blacklisted, your emails will NEVER get through to your recipient. You’ll have to contact the blacklist operator to be removed from the blacklist before trying to send any emails again.